If you are planning to relocate to the greater Austin, Texas area, and purchase a home here, we can provide you with a free packet of helpful information. Please fill in the form below, and add your mailing address in the comments box. If there is an area or town that interests you most, let us know. We will try to provide some specific information on that area/town. 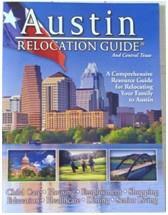 Expect your Austin area relocation packet to be on the way to you promptly.